May 28th, Man Up! Guns Down! In the streets again…..Won’t stop….Can’t Stop! No More Babies! 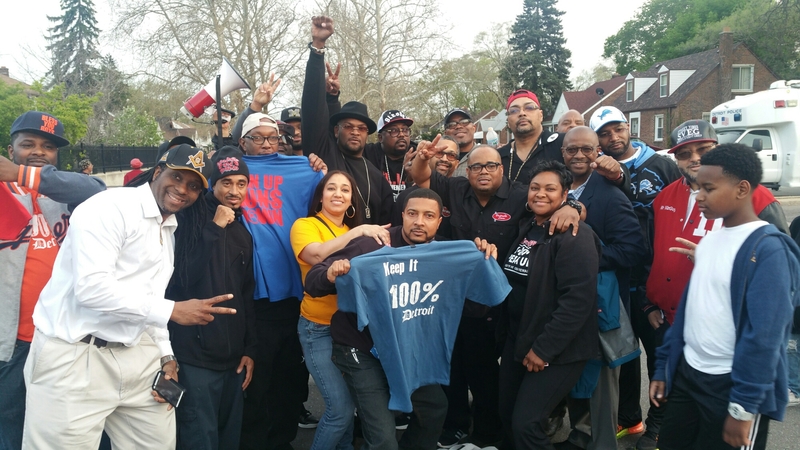 Detroit’s Urban Peace and Justice Movement! We stay in the Neighborhoods Organizing! Man Up! Guns Down! Chief of Police, Block President, Urban Peace Activist all together! Man Up! Guns Down! Movement Time! Man Up! Guns Down! 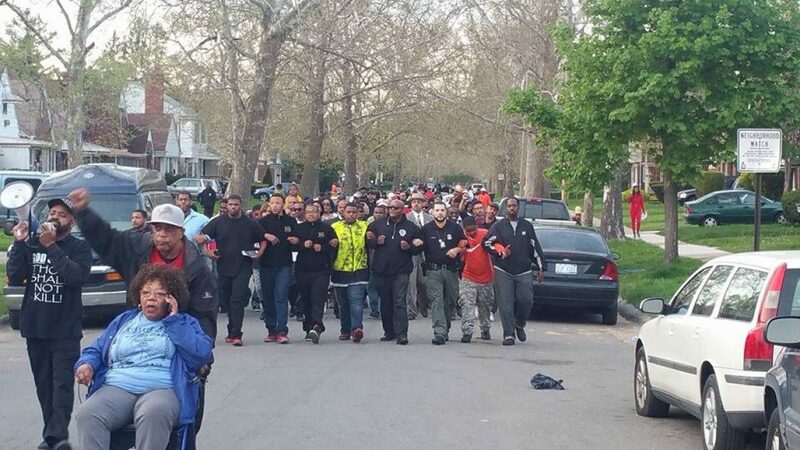 Urban Peace and Justice Detroit Style! “The Interrupters,” the acclaimed documentary about the Chicago-based anti-violence group CeaseFire, caught Mayor Rahm Emanuel’s attention. Worried about the city’s rising tide of bloodshed, Emanuel was impressed with CeaseFire’s strategy of sending ex-felons into the streets to mediate gang conflicts and stop shootings. The mayor decided to put his police superintendent, Garry McCarthy, and CeaseFire founder Gary Slutkin in the same room a few months ago to discuss a possible partnership, according to City Hall sources. The negotiations were anything but smooth. Behind the scenes, McCarthy complained about having to deal with an organization full of ex-felons that refuses to share information with the police department about brewing conflicts. 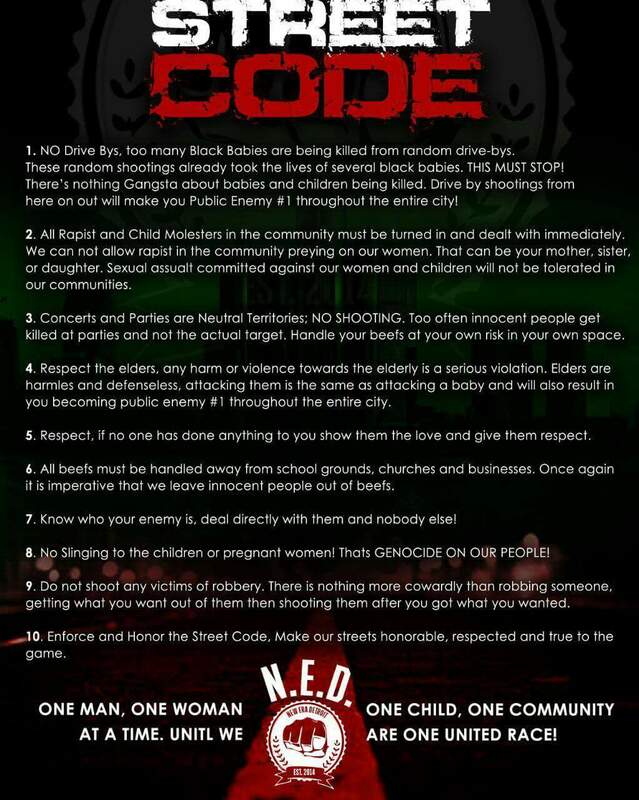 And CeaseFire initially balked at demands the police department placed on the group before they could become partners. But on Tuesday, police officials and CeaseFire announced they had forged a deal. CeaseFire will receive $1 million in city money to put 20 workers each in the Grand-Crossing District on the South Side and the Ogden District on the West Side, both of which have seen recent spikes in gang-related killings. The pilot program will begin July 13. In return, CeaseFire agreed to attend weekly evaluations that police commanders are already subjected to under the department’s CompStat system masterminded last year by McCarthy. On Tuesday, First Deputy Police Supt. Alfonza Wyzinger said any rifts between the police and CeaseFire are history. “With the amount of bodies from the homicides and shootings that are continuing to add up and make the city seem as though it is unsafe, if there were differences in the past — and I’m not saying there were — for the sake of the common good, those things have to go out the window,” Wyzinger said. CeaseFire has received state and county funding over the past dozen years, but no money directly from the city until now. The funding for the partnership is coming from a plan to have the state siphon outstanding city debts from the state income tax refunds of deadbeats. Originally, CeaseFire was supposed to get $1.5 million but that was under earlier plans that were to include three police districts. McCarthy first revealed the police department was considering an alliance with CeaseFire following the bloody Memorial Day weekend. He said it was one of several crime-fighting strategies. Over that weekend, 10 people were shot to death and the number of homicides in the city reached 200 for the year — a nearly 50 percent increase over the same period of 2011. Through June 17, murders were up 38 percent compared to the same period last year. CeaseFire officials said they believe their pilot program will drive down the murder rate. They point to statistics in several police districts where homicides fell while CeaseFire workers — many of them convicted felons — mediated conflicts to prevent shootings there. For example, there was a 44 percent drop in homicides in the three police beats where CeaseFire workers were operating in the Harrison District on the West Side, according to the group. “This is the new method for reducing violence,” said Slutkin, adding that CeaseFire programs have been successful in 15 cities and other countries. But some police officials are skeptical of CeaseFire’s violence-reduction claims. That is why they demanded the group undergo weekly police evaluations, a requirement included in a memorandum of understanding between the city Department of Public Health and CeaseFire. The agreement does not require CeaseFire to notify the police of conflicts that might lead to violence. Police had asked for the requirement, sources said. 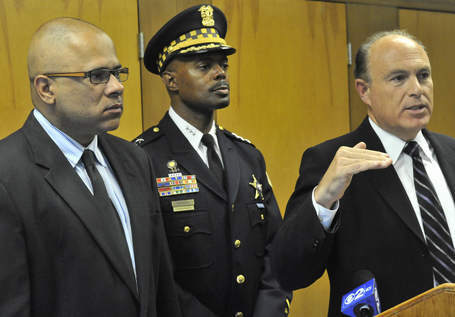 “We are not going to be informants or snitches for nobody,” CeaseFire Illinois director Tio Hardiman said Tuesday. McCarthy has publicly and privately expressed his discomfort at working with CeaseFire. At a June 12 forum, McCarthy said he was not a “big fan” of CeaseFire’s stance that it will not tip off the police about conflicts. “When an event occurs and people are trying to deal with gang members and somebody comes in and tries to interrupt that particular dynamic, and they tell people, ‘Well, don’t talk to the police. We understand you can’t trust the police, but look at us, you can trust us’ — they’re undercutting that legitimacy that we’re trying to create in the community,” McCarthy said. He repeated his concerns at a violence reduction meeting with federal and local officials last week, sources said. Privately, other Chicago police officials said they also worry that CeaseFire staffers have not given up crime. The Chicago Sun-Times reported last month that six of them have been charged with crimes over the past five years while on the CeaseFire payroll. Hardiman has responded that he fires staffers when he learns they engaged in criminal activity. He described the six former CeaseFire workers mentioned in the story as “bad apples,” saying every organization including the police department has them. They constitute less than 2 percent of the 300 staffers hired by CeaseFire, according to the group.